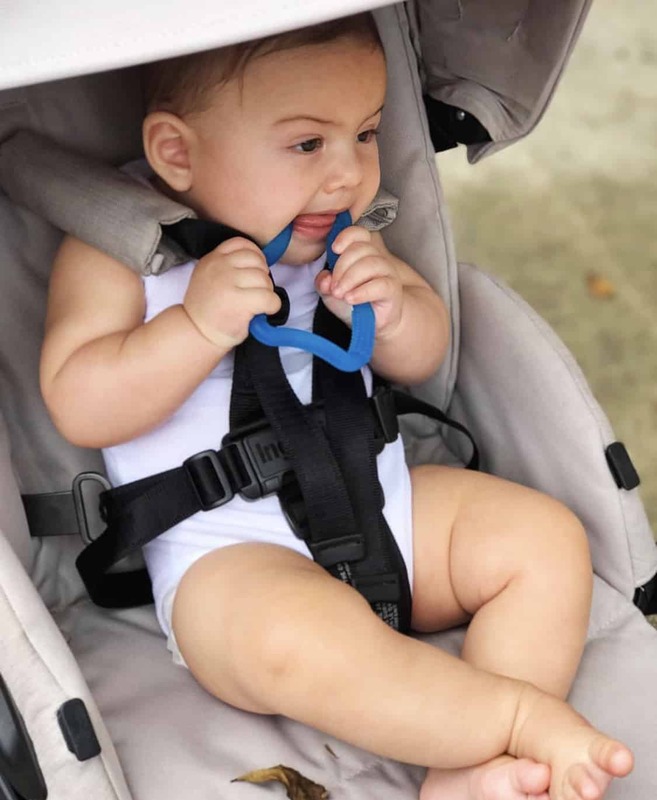 Some teething symptoms to watch for are drooling, turning away from food, irritability, grabbing ears, rubbing face, swollen/red gums, putting everything in mouth to chew/bite. All babies have to go through this process and it is heartbreaking to watch because there is nothing you can do to take away the pain, But you can help ease it. Infant Tylenol and Oragel can be effective and we also used frozen washcloths. Wet a washcloth and freeze for 30 mins, the texture and coldness helps soothe baby’s gums. 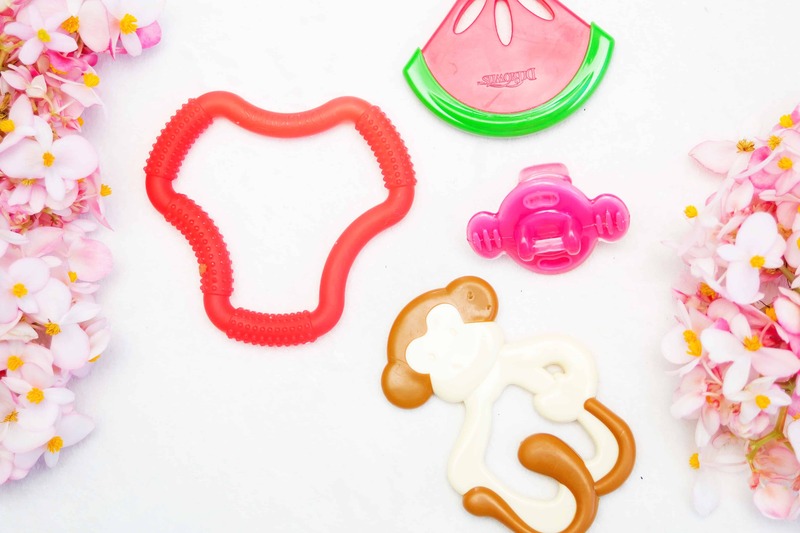 Teethers are another option. One of Rhys favorite teethers is the Dr. Brown’s Flexees Ergonomic Teether. It features a variety of textures to stimulate his gums. It is also very easy for Rhys to hang onto. We place this in the freezer so it is nice and cool on his gums, which is very comforting for him. Because Rhys drools so much we have had difficult time finding bibs that would sustain his volume of drool. We have to change out his bibs 4 to 5 times a day. I found great ones on Amazon from two different brands. One brand is by Charis Kid and the other is by Little Likes. I love these because they are triple layered. The inside is plastic and the outside layers are cloth. Perfect for babies who have lots of drool to catch. We hope some of these tips help you new parents out there, good luck! *Thanks to Dr. Brown’s for sponsoring this post. All opinions are my own.